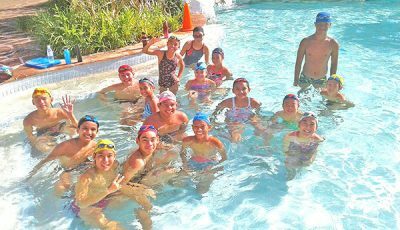 Tsunami Swimming Center Saipan held a time trial to make the most out of its last two days at the Kan Pacific Swimming Pool. Tsunami Saipan coach Hiro Kimura said the time trial is important as they don’t know where a local meet will take place this season after the closure of the Olympic-sized pool last Sept. 30. “Nobody knows how long there won’t be a meet here. 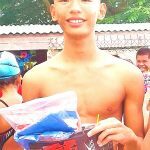 The race feeling is very important for competitive swimmers,” the Tsunami Saipan coach said. 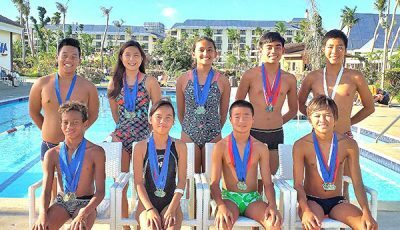 More than 50 Tsunami Saipan members joined the time trial held last Friday and Saturday and Kimura made special mention of five swimmers after their notable performances in the different races. 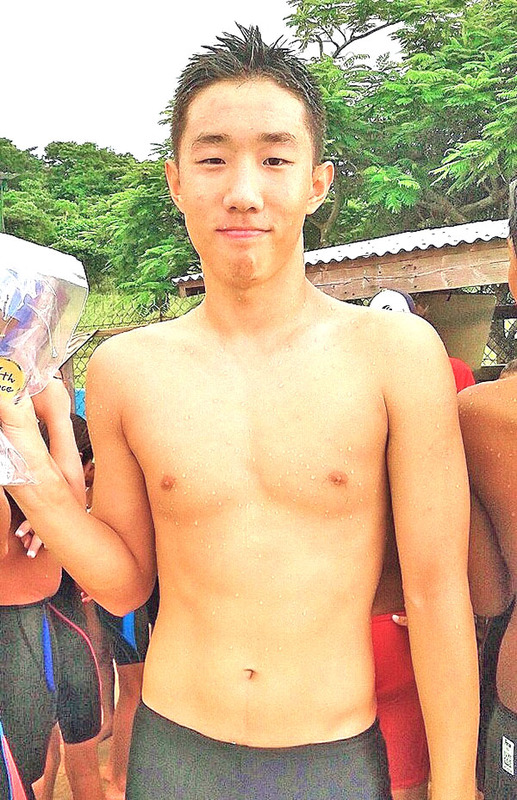 In the 50m freestyle, Alex Kim and Kevin Guerrero got Kimura’s attention, as the two swimmers broke the 30-second barrier in their first attempt. Kim timed in at 29.17 seconds, while Guerrero submitted 29.90. 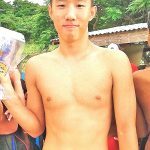 “This means there are already eight Tsunami Saipan swimmers who broke the 30-second barrier,” said Kimura. The six others are Juhn Tenorio (27.55 seconds) Nelson Batallones (28.94), Isaiah Aleksenko (28.91), Joseph Zhang (29.13), Hans Xu (29.81), and Ashley Dangol (29.89). In the 50m butterfly, the Tsunami Saipan coach was pleased with the performance of Batallones and Aika Watanabe, who are the captain and vice captains of the group and members of the sensyu (top) class, and Shuman Barman. Batallones, Watanabe and Barman clocked in at 29.58 seconds, 31.90, and 37.18, respectively, during the time trial. “Overall, our swimming level is higher than last season. This is the result of everyone’s hard work during the summer. 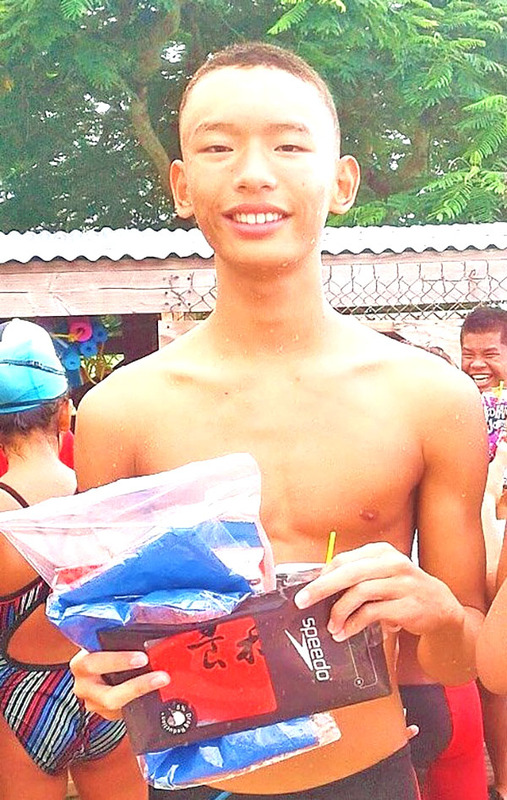 Tsunami Saipan swimmers practiced every day during the summer break,” Kimura said. Meanwhile, with the uncertainties surrounding the Marpi pool, Tsunami Saipan is looking for alternative venues for their training sessions and aiming at competing in more off-island events. “The first one is the meet in Guam in November. We plan to bring many swimmers there. We also have two meets in Japan—one is a high level for our top group and the other is BB level for our young swimmers,” Kimura said. “We will use some pools and swim in the ocean sometimes. 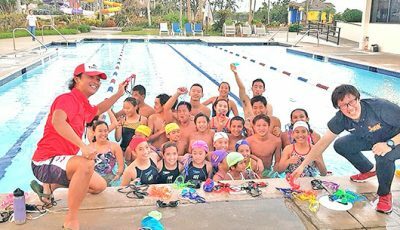 We thanked Dolphin Club Saipan’s Emma and Peter Perez for supporting our kids and letting us use their facility for free,” the Tsunami Saipan official said. Kimura also acknowledged all the people who signed the petition to keep the Kan Pacific pool open and hopes the facility will reopen soon.